Well, here it is, likely the first time something from Iron Bonehead Productions actually depresses me in the other way. I prefer the "why does the human race exist?" type of depression, but this is more of a "why was this album released?" sadness. Now, please pause, for I have already started this on an extremely negative note when in reality Malsanctum are not the absolute essence of "why? "but more of a "did we need another of these?" This particular S/T comes with all the expected sloth and inky darkness of funeral doom, yet there's something utterly swollen about it, and it's rather from the other kind of gas, not decomposition. The band seems far too self-absorbed to realize what they've done. That seems harsh, too, I'm sure, but what's really bizarre here is the Malsanctum's failures are only made manifest in about two minutes of the entire album. Seriously, you'll see what I mean. 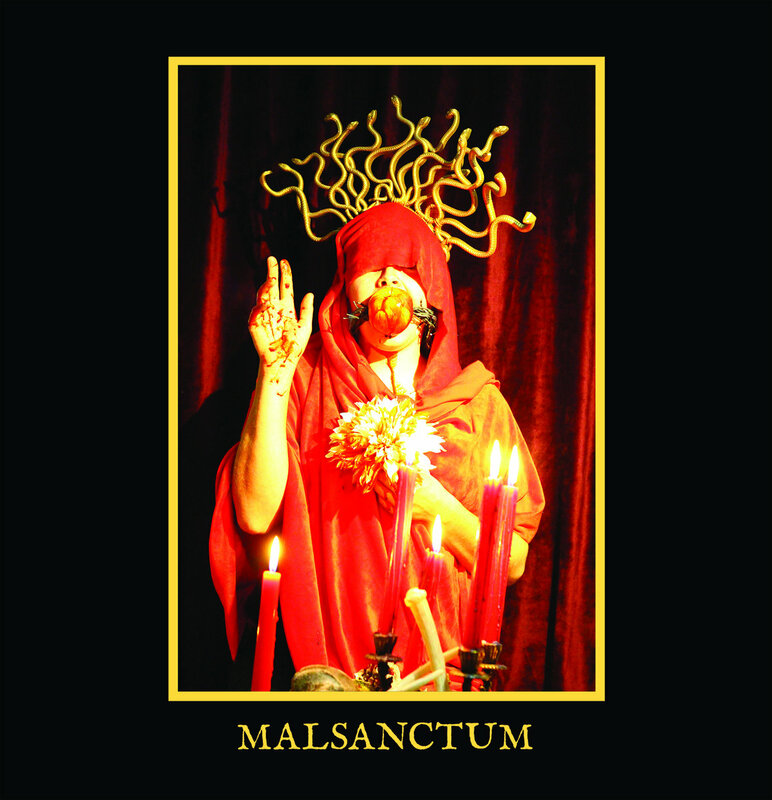 Malsanctum is one of the better funeral doom bands that has slinked into my ears. The genre requires an extremely delicate balance between slowness and dismay, not just one or the other. Thankfully, these Canadian mystiques are good for that at least. They treat their music for the majority of this three-track dirge like a moulden, centuries-old skeleton carefully moved from one tomb to the next as they accept all the commandments of funeral doom. But as with the majority of releases like this, the drag becomes just "what a drag" and the lack of a substantially good riff is more punishing than pleasing. However, honestly Malsanctum don't need much in the way of riffs because the sense of dread they develop is satisfactory. However... this album takes that delicate skeleton in my analogy and just tosses it to the ground on purpose. This wasn't a trip over a loose gravestone, this wasn't a slip on grave moss, this was a deliberate tossing of the skeleton right to the damn floor and then just walking away. Go to the third track and skip ahead to 22:02 and just listen to the the final moments. First you get some sample about murder or perhaps an interview with a serial killer, who knows or cares? That's merely irritating until...wtf are you doing?!!! Suddenly you're slammed by the most eye-piercing, grating, and unnecessary electronic fart I have ever heard. Why is it there?! What in the world is this ending even about? It speaks for itself in the other way. I had to personally listen to the entire album eight times just to feel how absolutely ruinous that one single moment is. We're talking about less than two minutes of an entire album that almost ruined it completely. Incredible.